We present a test collection for medical cross-lingual information retrieval. It is built on resources used by the CLEF eHealth Evaluation Lab 2013–2015 in the patient-centered information retrieval tasks and improves applicability and reusability of the official data. The document set is identical to the official one used for the task in 2015 and contains about one million English medical webpages. The query set contains 166 items used during the three years of the campaign as test queries, now available in eight languages. The extended test collection provides additional relevance judgements which almost doubled the amount of the officially assessed query-document pairs. 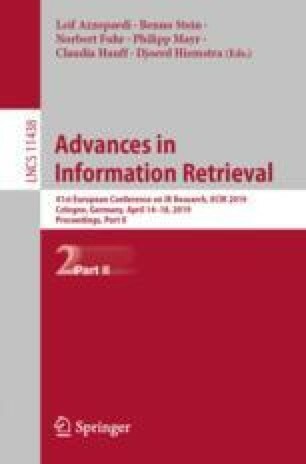 This paper describes the content of the extended collection, details of query translation and relevance assessment, and state-of-the-art results obtained on this collection. The language resources presented in this paper are distributed by the LINDAT/CLARIN project of the Ministry of Education of the Czech Republic. This work was supported by the Czech Science Foundation (grant n. P103/12/G084).